Energy exchange in Turbo machines: Euler’s turbine equation, Alternate form of Euler’s turbine equation, Velocity triangles for different values of degree of reaction, Components of energy transfer, Degree of Reaction, utilization factor, Relation between degree of reaction and Utilization factor, Problems. Steam Turbines: Classification, Single stage impulse turbine, condition for maximum blade efficiency, stage efficiency, Need and methods of compounding, Multi-stage impulse turbine, expression for maximum utilization factor. Hydraulic Turbines: Classification, various efficiencies. Pelton turbine – velocity triangles, design parameters, Maximum efficiency. Centrifugal Pumps: Classification and parts of centrifugal pump, different heads and efficiencies of centrifugal pump, Minimum speed for starting the flow, Maximum suction lift, Net positive suction head, Cavitation, Need for priming, Pumps in series and parallel. Problems. 1.An Introduction to Energy Conversion, Volume III, Turbo machinery, V. Kadambi and Manohar Prasad, New Age International Publishers, reprint 2008. 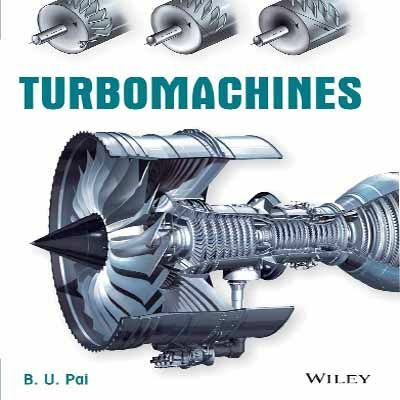 3.Turbomachines, B. U Pai , Wiley First Edition 2013. 1.Principals of Turbo machines, D. G. Shepherd, The Macmillan Company (1964). (2005) Turbo machine, B.K.Venkanna PHI, New Delhi 2009. 3.Text Book of Turbo machines, M. S. Govindgouda and A. M. Nagaraj, M. M. Publications, 4Th Ed, 2008.